Excellent customer service thrives on feedback. Without it, you’ll never know what you’re doing wrong or right. Therefore, it is vital to check customer feedback on a regular basis. But how do you do that? You can get customer feedback from various places these days. You can get it from social media, Google Reviews, Yelp, and many more. However, there’s an often overlooked yet powerful tool where you can get raw customer feedback: surveys. The trick, however, is you need to ask the right questions. Here are a list of five open-ended questions that can be displayed at the end of each live conversation. Remember, you don’t have to use all of them at once (1 -2 questions are enough). Moreover, you can add other types of questions like star-rating and closed surveys. Question #1: What have you found very valuable in our business? Question #2: Can you give us any recent experience where we exceeded your expectations? This question works both ways. One, it makes you and your team feel good knowing you made somebody’s day. Two, the pleasant experience helps your client think positively about your brand. Beyond these things, however, the insights you get enables you to deliver what your customers need or want. Question #3: What is the most memorable experience you’ve had with our customer support staff? This kind of question allows your customers to express what they think about your company whether it is bad or useful feedback. It also shows that you are willing to listen to them and that you value their opinion. Such a move sends a message that you want to involve them in the growth of your company. Listening to them will also help you discover a different facet of your product or service. At best, it can open new opportunities you’ve never thought about. Question #4: Which part of the process has seemed the most challenging to you? Knowing where your customers need help the most lets you provide support at the right moment. Yes, you want to make it as personalized as possible; however, some customers prefer to browse and figure out things by themselves. 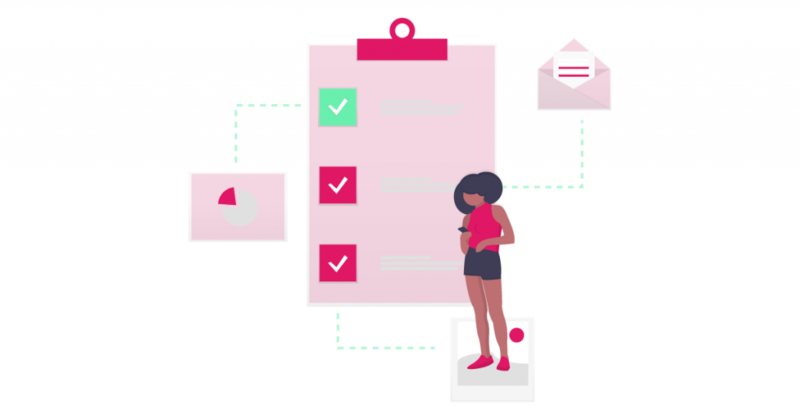 By asking your customers this question, you’ll be able to know customers’ preferences, whether you can provide the answers your customers need, or if your customer support staff is proactive enough. Question #5: How can we serve you better? This question might sound cliché, but it ensures that you have left nothing to chance. It allows your customers to freely express something that hasn’t been offered to them yet as well as the manner how the product or service is presented to them. But what if the customer demands something that’s too much for your company to handle? Remember, your customers know best because they are at the receiving end. Not only will it lead to beneficial feedback but they also hold the key for you to make some thoughtful changes or improvements. A lot of people, as well as companies, are afraid to ask questions for fear of the answer they will get. American author, Lillian Smith, has this to say about asking questions, especially the right ones: “When you stop learning, stop listening, stop looking and asking questions, always new questions, then it is time to die”. So, unless you want your company to die, go ahead and ask questions.